Exploring a website is effortless for many of us (unless you are looking at a very old, or poorly constructed website), but that is not the reality for those with a disability. My recent Accessibility Assessment of a client’s website brought me face to face with this stark reality. 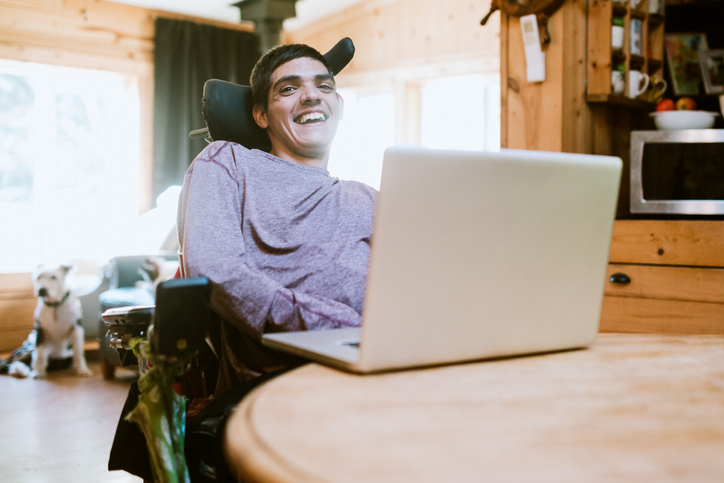 It is important to be aware of the challenges faced by those with a disability, in order to ensure your website is inclusive and accessible to all. Knowledge and understanding of the available assistive technologies also provides helpful insights. Vision impairments including blindness, low vision, colour blindness. A Screen Reader is a technology that is widely used by the vision impaired. It reads aloud the contents on a computer screen. NVDA is a free and open-source screen reader software. The commercially available JAWS for Windows is another example of a screen reader. Hearing impairments such as deafness or low hearing. Tools which auto-generate transcripts and captions are useful for those experiencing deafness and low hearing. IBM’s Watson Speech to Text technology is one such tool which converts audio and voice into written text for quick understanding of content. Mobility impairments e.g. weakness or difficulty in controlling limbs. Speech recognition softwares help users create text and navigate online by speaking into a microphone. One example of speech recognition tools is Dragon Speech Recognition Software which allows users to use voice commands to type and navigate the internet. Cognitive impairments e.g. learning difficulties, difficulties in comprehension. Some of the areas of accessibility can be achieved relatively easily for your website via your content management system (CMS). Other issues need a developer to implement the code of your website differently. Still other accessibility issues require consideration during the visual design process. Non-text content such as images should be accompanied by text alternatives/descriptions to make them accessible to those with vision impairment. These text alternatives are captured and communicated to the user by a screen reader. Including a link to a transcript of any audio content, so that those with hearing impairments are still able to access the content. Mandatory form fields should be clearly labelled as such, and when users fail to provide input for any mandatory item, information should be provided as text to enable the visitor to identify which fields were omitted. Such error message text should be placed so that screen readers can quickly access that, and read it to the visitor. All visitors will benefit from this functionality, but especially those with cognitive impairments. Ensuring that the content of pop-ups be accessed via screen readers and via the keyboard. Ensuring that identical links are not repeated successively; this causes an issue for a person using your website solely using their keyboard. This can occur unintentionally due to the way a website is designed and then built for mobile responsiveness and with multiple menus. For users of assistive technologies, it can be confusing to encounter successive identical links. Ensuring that there is sufficient contrast between all elements on screen, to help those who are visually impaired to see all information. One example of this which we see on a regular basis due to the cleanness of the design, is placeholder text inside form fields in a light grey (the only guide to a visitor regarding what should be entered into each form field), whilst the information they enter is shown in a darker colour. The lighter text looks nice but is hard for people with vision impairment to see. Video content should be accompanied by captions to assist those with hearing impairment. This is a job for the creator of your video assets. The above is just a subset of the ways in which a website can be made more accessible for visitors with disabilities – there are many more! The Australian Disability Discrimination Act 1992 requires equal access for people with disabilities. The Australian Government mandated that all government websites must be constructed to comply with WCAG 2.0 by 2014. Contactpoint would be pleased to assist you with an assessment of your website accessibility issues, or to implement changes to the code underlying your website to ensure that it is accessible. This entry was posted on Tuesday, March 12th, 2019 at 7:25 am	and is filed under Digital Design, Online Technologies, Website Creation. You can follow any responses to this entry through the RSS 2.0 feed. You can leave a response, or trackback from your own site. Our enews is sent out approximately monthly, and contains information on latest digital technologies, and how these can be used to help your organisation grow.